Guitarist Mason Williams teams up with The Steamroller for an orchestrated, synthesized version of his 1968 instrumental hit, plus more in the same vein. 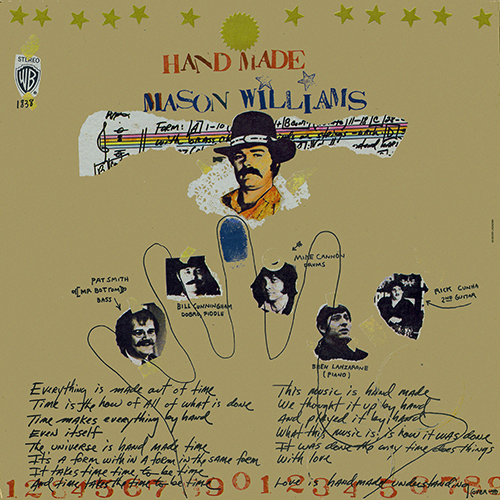 Mason Williams reached his peak in the late 1960s. A humorous scriptwriter and virtuosic acoustic guitar player and composer, Williams reached the top of the hit parade in 1968 with his classical folk guitar instrumental, "Classical Gas." Although it took six months for the single to become a chart-topping smash, it went on to win Grammy awards as Best Instrumental (Theme) Composition and Best Instrumental (Theme) Performance, as well as a Best Instrumental Orchestral Arrangement award for arranger Mike Post. 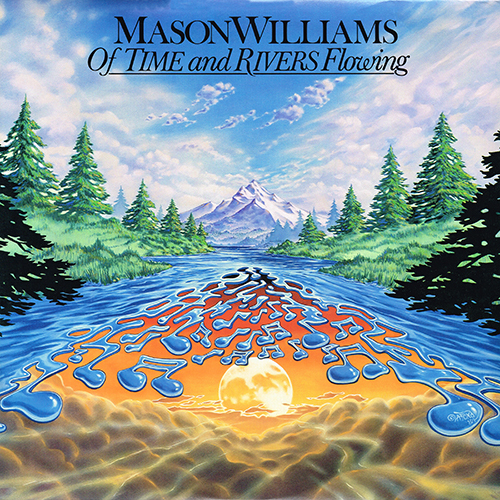 An album featuring a re-recorded version of the tune with Mannheim Steamroller and Fresh Aire, Classical Gas, sold more than a million copies in 1987. The following year, Williams' album, Country Idyll, was nominated for a Grammy in the country music category for Best Instrumental Performance. Williams has recorded several other memorable albums and compositions. An acoustic Christmas/holiday season album, A Gift of Song, was released in 1992, while his composition "Symphony Bluegrass" has been performed by more than 40 symphony orchestras. Although Williams attracted attention with his melodic 12-string guitar and banjo playing in the early 1960s, he initially attracted attention as a writer for The Smothers Brothers Comedy Hour. In addition to co-writing the show's theme song, Williams created comedy skits including a presidential campaign by comedian Pat Paulsen in 1968. Williams received Emmy awards in 1967 and 1969 for Outstanding Writing Achievement in Comedy, Variety and Music. He was nominated for an Emmy for his work on The Smothers Brothers' 20th Reunion Special in 1988. Williams has also written comedy material for Steve Martin, Andy Williams, Glen Campbell, Dinah Shore, Roger Miller and Petula Clark. Williams has also garnered acclaim for his artistic ventures -- an 11' x 37' photographic poster of a Greyhound bus is on permanent display at New York's Museum of Modern Art -- and has written and published several books of prose and poetry.